The Senate confirmed Robert Wilkie to be Secretary of Veterans Affairs with an 86-9 vote, ending an almost four-month period in which Peter O'Rourke served in an acting capacity following the departure of Dave Shulkin. Wilkie is the third nominee for the post in eighteen months. O'Rourke served as the acting secretary as Adm. Ronny Jackson, the president’s personal physician, was nominated to the position and subsequently withdrew. Shulkin left the post at the end of March. 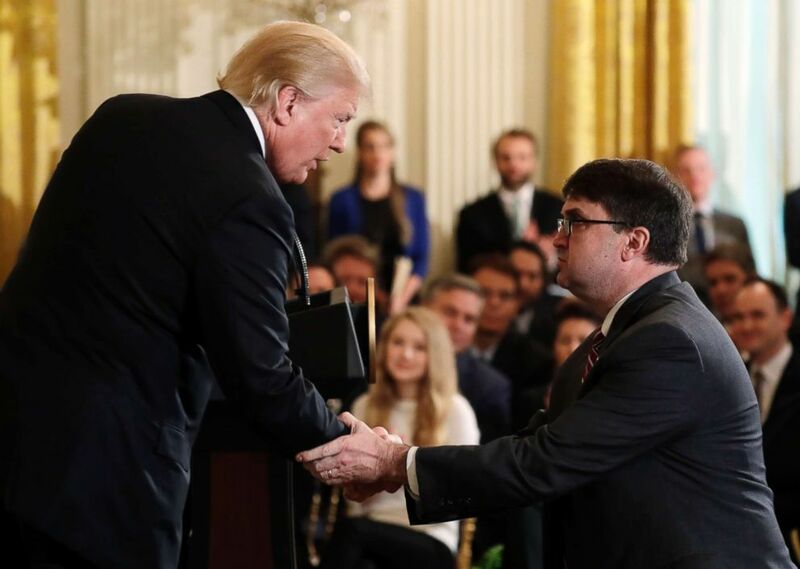 President Donald Trump shakes hands with Acting Veterans Affairs Secretary Robert Wilkie, during an event on prison reform in the East Room of the White House, May 18, 2018, in Washington, D.C.
Wilkie previously served as the Under Secretary of Defense for Personnel and Readiness.